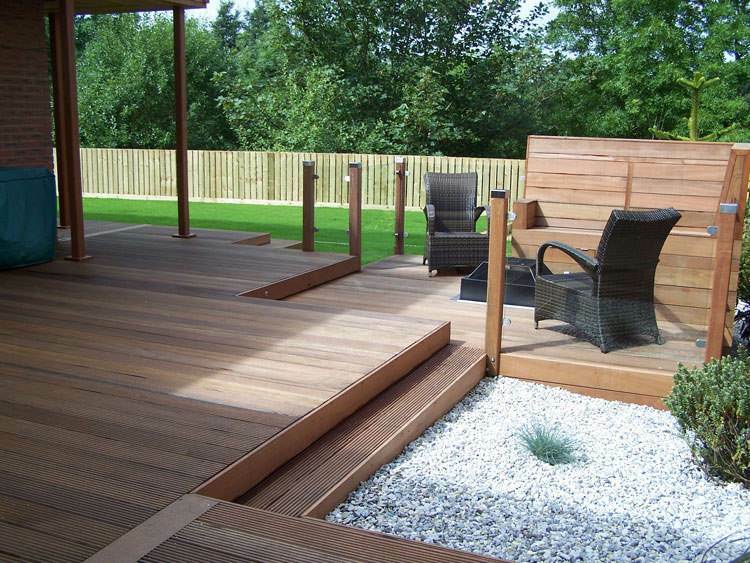 The addition of timber decking to your garden can embellish its appearance wonderfully, but once it has been implemented, it needs to be monitored throughout the year so that it doesn’t lose its visual appeal, or indeed its robust quality. Here’s how you can maintain your decking over the course of the year so that it remains as good as new for a long time to come. Once the harshest of the winter weather has disappeared and spring is in full blossom, that’s the ideal time to begin maintaining your timber decking. The first major task is to wash and clear away any debris or grime that has accumulated during the winter and then begin sealing. This will prepare it for the main repair duties to be undertaken in summer, after which greenery next to or near the decking should be trimmed and gutters cleared over the autumn. With all those duties done, your decking will be in prime condition to withstand another winter. Remove debris from between the boards of your decking, using a putty knife. Protect any plants or shrubbery by soaking them and covering them with plastic sheeting. On a cool, cloudy day, clean the decking with a standard wood cleaner, complying with its directions. Use a paint roller, garden sprayer or stiff-bristled brush to apply the cleaner. Once the cleaner has soaked in, rinse the decking with clean water. Allow the decking to dry for at least 2 days before beginning sealing. You will need clear skies and moderate temperatures for the sealing to be effective. Sand the deck lightly with a pole sander. Carefully replace any missing or popped nails/screws. Apply the sealing with a roller, covering 3-4 boards at a time. Check for signs of rot by probing structural sections (e.g. steps, perimeter posts) with a flathead screwdriver, which should not be able to be pushed more than 6.5mm into the decking. Inspect the ledger (the framing which attaches the decking to the house) by shining a torch underneath the decking. It should be attached with lag screws as well as nails. Check all other joints, posts and beams. Also, ensure to look at hardware underneath the decking. Replace any cracked or damaged boards. Shake the railing vigorously to ensure that it isn’t loose or damaged. Add galvanised lag screws to any loose connections. If there are cracks around any fasteners such as nails or screws, remove the fastener and seal the crack with an exterior-grade adhesive before drilling a new pilot hole and adding a galvanised deck screw. Trim any bushes or trees near the decking. They should be at least 12 inches clear of the decking so that moss, mould and rot won’t develop. Clear away any debris or leaves which may have accumulated on the decking. Move any furniture such as tables or chairs so that the decking doesn’t become discoloured. Inspect any gutters or downspouts near the decking so that moss or debris hasn’t accumulated. Take care of any washing and sealing that you may not have got around to doing in spring. It needs to be done while temperatures are mild. 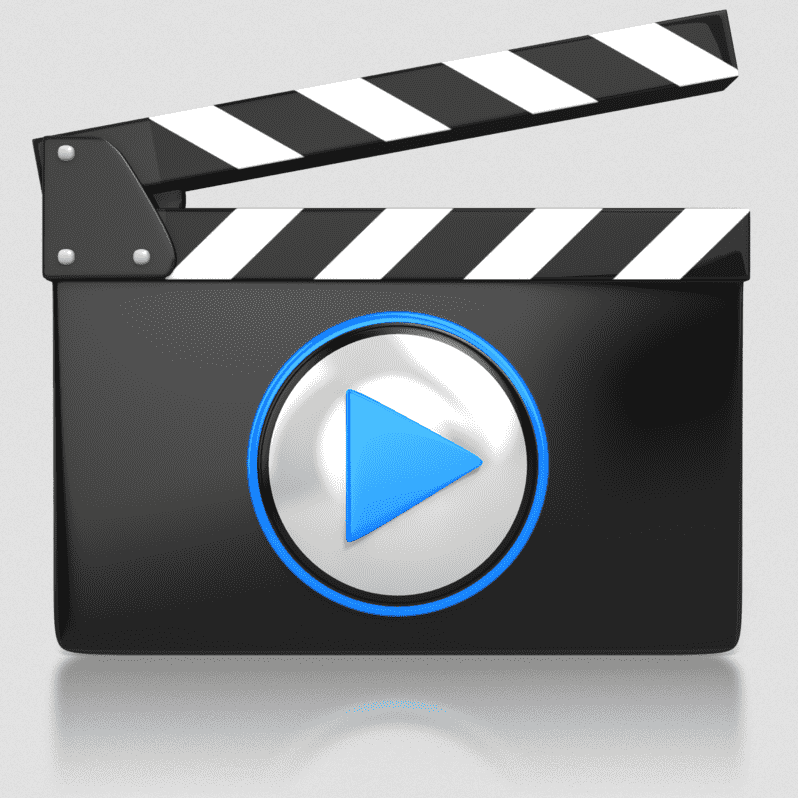 This video talks you through the washing and sealing process for your timber deck. 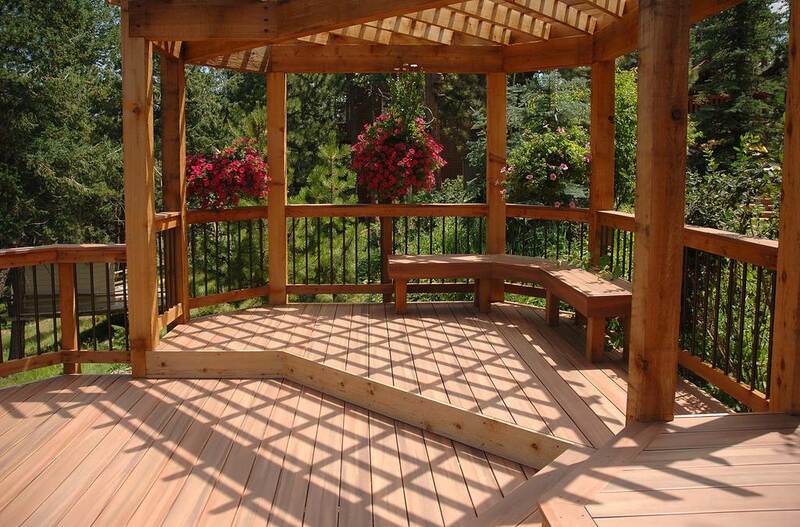 Why is decking treatment and maintenance so important? The timber can be affected by a degree of discolouration from moisture and adverse weather conditions. Boards could become loose over time. Boards that are loose or cracked could break if walked upon, which could potentially lead to an injury. It is quite likely to accumulate dirt, grime and mould over time, which if left unremoved can harm the quality and longevity of the decking. Aside from the timber becoming damaged, failure to maintain your decking regularly will also make it look grotty and spoil the entire appearance of what should be a pristine feature of your garden. When applying deck cleaner, always wear protective goggles and mind your skin, as the cleaner could contain harsh chemicals. If you use a power washer on the decking, don’t focus for too long on any spot or hold the nozzle close to the timber, as the pressure could damage the timber. You can avail of a scrubber attachment for a pressure washer so that large areas can be covered more quickly. If you want the timber grain to be clearly visible, buy a wood stain with a transparent application. Remember to check all around the deck boards, including underneath, as this is where wood rot is most likely to occur. Do not pound old nails down if they (or the boards) are loose. Remove the nails and replace them with longer alternatives or decking screws. Use a putty knife or laminate scoring tool to remove debris from tight, narrow spaces such as those between deck boards. If stripping a deck with a peeling finish, use a mild, biodegradable deck stripper and test it first on a small, inconspicuous area. When treating stained or discoloured areas, choose your cleaning product carefully. Bleach-based products are effective for removing mildew, while acid-based products are more ideal for removing stains and discolouration.